2017 was the year that Bitcoin took off. It rallied from $996, to close to $20,000 in the space of one short year, a rise that is rarely seen in trading assets. An increased interest and spotlight on Bitcoin and other cryptocurrencies, led the original cryptocurrency to soar, as market participation increased massively. Investors found themselves captivated by Bitcoin, with the cryptocurrency industry attracting hordes of new investors. However, in attracting the eye of the media and the public, bitcoin also attracted the eye of governments and regulation enforcement agencies. As more and more restrictions were being placed on Bitcoin by regulators, the more the price fell. The start of 2018 has seen the banning of Bitcoin trading by China and some serious voicing of concerns in South Korea, 2 countries which see some of the highest number of Bitcoin transaction. As a result, bitcoin dived to just below $6000 in early February. The fear here was that increased regulation would impact on the price of Bitcoin, which is what caused the sold off. Think about it, the phenomenal rally of Bitcoin happened in an unregulated environment. Even in 2017 as the price rallied and investors and the media latched on, regulators still kept their distance. Crypto currencies have been growing unregulated and relatively unrestricted for a decade. This means that regulators will have an immense challenge boxing in a system which has grown so chaotically. 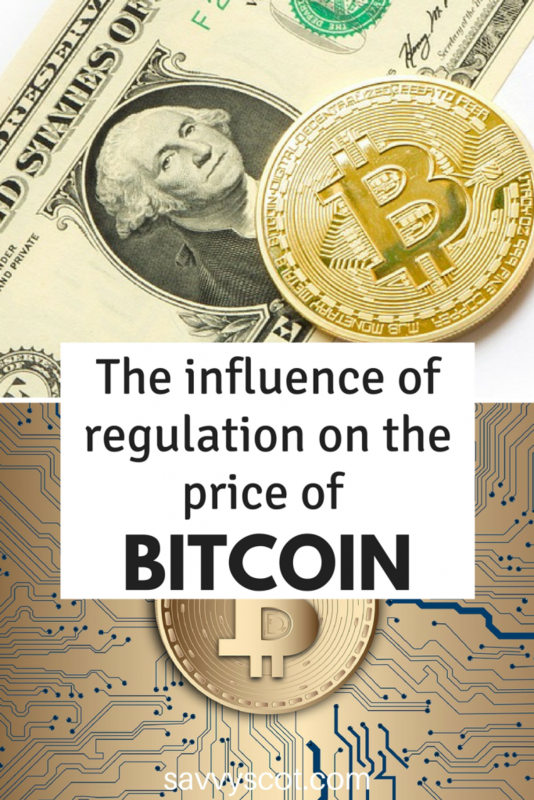 Many viewed that regulations could stunt bitcoins growth. However, in recent weeks Bitcoin has rallied. This could be down to the fact that investors are starting to realise that increased regulation could actually attract more mainstream players into the cryptocurrency environment which would only be beneficial for virtual currencies. Especially given that even after 10 years Bitcoin remains a mystery to many financial observers. The young age of the sector makes it very difficult to assess the long-term impact of regulations. In the past when Bitcoin has suffered heavy price falls, it has always managed to eventually pick itself up. Will that be the case again this time? If you are interested in trading Bitcoin or other cryptocurrencies, always make sure you do so through a regulated licensed broker, such as Vantage FX. Vantage FX is an award winning Australian broker, which is regulated by the Australian Securities Investment Commission.